Commercial walk-in freezers can be found in just about every commercial kitchen, restaurant and supermarket. When it comes to the food industry, they are an essential requirement – exactly what you need to keep perishable goods and frozen foods at the right temperature (i.e. somewhere between 0°C and -40°C). But what happens if something goes wrong; perhaps you or an employee manages to get trapped in the unforgiving sub-zero conditions? It may seem unlikely, but trust us, we’ve heard plenty of horror stories. 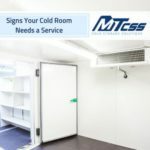 It’s incredibly easy for a trip to the walk-in fridge or freezer to escalate, quickly turning into a very dangerous and potentially life-threatening situation. 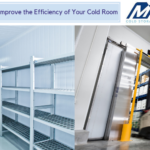 Here at MTCSS, our team boasts over 50 years’ experience in the cold storage sector and we pride ourselves on our expert knowledge and sound advice. When it comes to the safety of a walk-in freezer, we believe that prevention is definitely the best form of cure. Be precautious, follow our useful tips, and make that you and your employees avoid getting trapped in the first place! A walk-in fridge or walk-in freezer should be sealed as tightly as possible and its doors should be kept shut at all times. 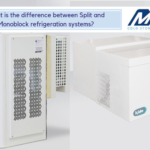 This helps to keep it in full working order, maintaining its temperature at an optimal sub-zero level, and it applies to both when the freezer is not in use and when it is occupied by an employee. With these requirements in mind, it is important that a number of precautionary steps are taken, thus ensuring the overall safety and welfare of anyone who is working inside. Number one on your safety checklist should be to invest in a safety release latch. 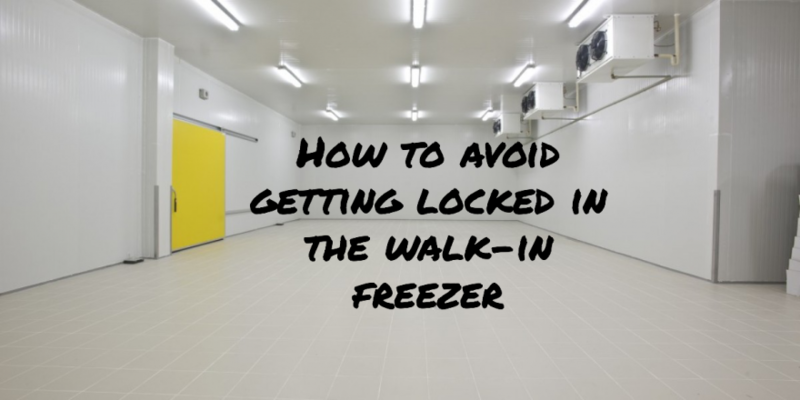 This is the simplest way to avoid getting trapped in a walk-in freezer – offering a quick and easy escape and a way to free yourself in a matter of seconds. A safety release latch is, essentially, a door handle that can be accessed from inside the unit. 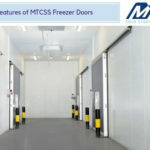 Here at MTCSS, we offer an extensive range of internal release handles for both hinged and sliding doors and we recommend taking the time to choose the right one for your walk-in freezer and fitting it before anyone accesses the room. Secondly, we also recommend fitting your walk-in fridge or freezer door with one of our entrapment alarm systems. These alarms are a simple yet very effective way to avoid getting trapped for long periods of time. If you do manage to get stuck in the frosty conditions, you can simply pull a cord or push a button to activate the alarm and alert your fellow members of staff. Entrapment alarms often come with a battery back-up in case of a power cut or failure and, for sites with limited numbers of staff, the internal alarm can be attached to several external “remote repeaters”. They can also be set to sound (or send a text message) if there is a problem with your walk-in freezer – such as the door being left open. An incredibly handy investment, that is sure to put your mind at rest! Conduct a weekly test of all door latches and push knobs, especially the emergency internal safety release latch. If you do find any faults with these, get them fixed or repaired as quickly as possible and make sure nobody uses the walk-in freezer in the meantime. Maintain excellent house-keeping standards at all times. Check that all products are packed correctly, don’t over-stock shelves, and keep your walk-in freezer tidy and spillage-free. This will help to prevent any slips, trips or falls that could, potentially, lead to entrapment. Ensure that only employees who are authorised, and therefore sufficiently trained, have access to the walk-in fridge or freezer. They should know how to conduct a risk assessment, how to maintain their personal safety, and how to avoid getting trapped by using both the internal safety release latch and any entrapment alarms. Communicate with fellow colleagues. Before entering a walk-in freezer, you should notify a colleague of your intentions and how long you will be inside. If you do not return in due course, your colleague is fully aware of your whereabouts and can, therefore, check on your safety. If you do happen to get locked in, it wouldn’t be too long before you are found. Phone signal can sometimes be very weak inside a walk-in fridge or freezer, but if you plan to be in there for a significant length of time, it is still good practice to take your mobile with you. Emergency calls are still possible and, if you do manage to contact a co-worker, this is a very easy (and obvious!) way to avoid being trapped for long periods of time. Getting trapped in a commercial walk-in freezer is quite a scary thought. But it is something that can be completely avoided. Just follow our useful tips and you’ll never have to worry about getting stuck in harsh sub-zero conditions again. 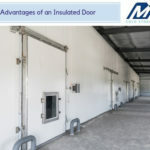 If you’d like further advice and guidance regarding the safety of your walk-in fridge or walk-in freezer or you’d like to invest in specialist safety equipment, such as an internal release latch or an entrapment alarm, we’re always here to help. Contact us today on 01886 833381 or email the relevant department at spares@mtcss.co.uk.